It's here, folks; the fastest gaming GPU that AMD has ever created. 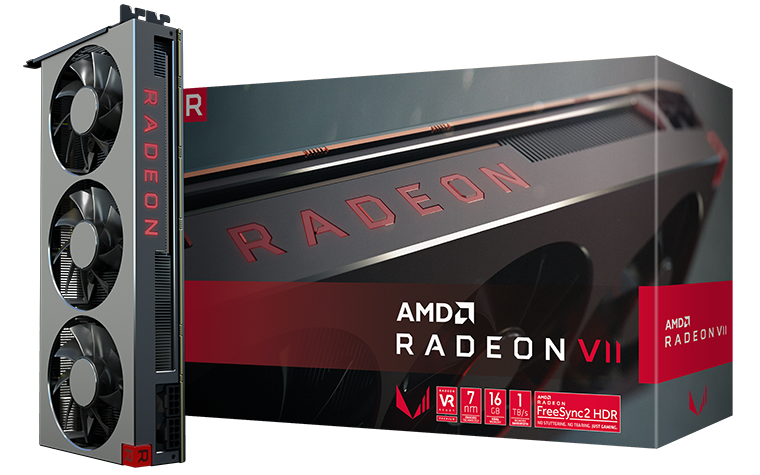 Radeon VII is the name, £650 is the price, and if you're inclined to play games at high resolutions with maximum levels of image quality, AMD's 7nm offering is the only current challenger to Nvidia's GeForce RTX 2080. We've had our say in an in-depth review, but now that you've seen the numbers and read the reports, we want to know what you really make of AMD's latest and greatest. Is it exactly what you expected, were you hoping for more, or have you been pleasantly surprised by what you've seen? Sound off in the comments section below. Nvidia and AMD can do what they want at the £700 mark, that's too rich for me. It's just AMD trying to stay relevant until Navi arrives. They did all they could with this old architecture. The profit they make with each VII sold is most likely negligible. But I doubt gamers will buy this in masses. Similar performance as 2080 but fewer features. How is this competitively priced? ANS: It's not. It's placed and priced to extract as much money as it can (as it rightly should!). Will wait another 12 months and see what else comes along. No need to upgrade currently from my 1080ti, and this doesn't make me re-think that. As a gamer I'd still prefer the 2080, but both seem to be too high of a price for me. But then it used an old architecture so you can't expect too much. However I don't have too high hopes for Navi either, but we'll see. I don't know it's too early to tell with driver optimisations and possible AMD partnership games, but early benchmarks and reviews seem like it is the same old story with them, too much heat and power and loses out to its main competition, then you have (a lack of) new tech to factor in. To me it seems like at this price point the 2080 is the only way to go right now.